As Regional Executive Creative Director at R/GA London, Fura leads the creative department for the Middle Eastern region. With over 16 years of experience in the digital industry, Fura has worked on some of the industry’s most innovative digital campaigns, products and connected services. Having worked at R/GA for over 11 years, Fura has provided both strategic and creative vision for her clients and teams in New York and Stockholm. She was the creative lead on R/GA’s Nike account in NYC for a number of years where she drove the e-commerce & retail business, moving the account into new territories by exploring new emerging trends and innovations. She also led the creative team for Samsung US and was one of the creative leads on R/GA’s Walmart account. In 2014 Fura relocated to Stockholm to provide a new level of thought leadership and help set the strategic vision for the office. There she worked on clients such as Volvo, H&M, Absolut and ICA. Fura’s recent move to R/GA’s London office sees her take on a creative leadership role for the Middle East, with the responsibility to help expand the agency’s presence in what is a key region of growth. 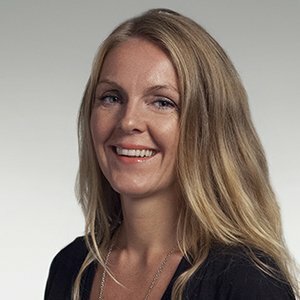 Fura started her career in Reykjavik, Iceland, serving local clients such as Icelandair, Icelandic Telecom, Toyota, and Hertz. She soon moved to New York to study Design & Technology at Parsons School of Design. There she explored all aspects of digital media, everything from broadcast to interactive physical video installations. Throughout the years she has won a number of well-known international rewards and recognitions, such as Clio’s, Webby’s, The One Show and many more.